In a period of twenty-one years, Susanna Wesley (1669-1742) bore nineteen children. Ten survived infancy. 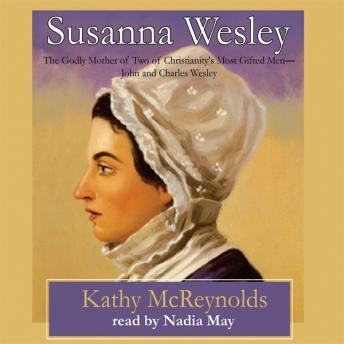 Two grew up to be influential church leaders whose legacies live on almost three centuries later.This is the story of one of Church history's most revered women, the godly mother of John and Charles Wesley. This biography recounts the story of a woman who used her strong leadership and faith to raise well educated and spiritually disciplined children. Her unwavering devotion to God and family in the face of grief, poverty, and a sometimes difficult marriage is a tremendous inspiration. Adam Clarke wrote of her, "I have been acquainted with many pious females...Susanna Wesley has excelled them all."